ELSS funds are equity funds with a three-year lock-in period. If you consider the retail SIP flows into equity funds on a monthly basis, it has been close to $1bn on an average in the last few months. This includes ELSS SIPs as well. Here are a few things to keep in mind when you invest in tax-saving funds. Equity-linked savings schemes (ELSS) are equity-based mutual funds that are classified as eligible for Section 80C benefits under the Income Tax Act. The Section has an overall ceiling of Rs150,000, which covers a host of eligible items such as life-insurance premium, PPF contribution, EPF contribution, principal on home loan, tuition fees, long-term bank FDs, and ELSS among others. The overall ceiling for all these products put together accounts for an exemption of Rs150,000. This is directly deductible from the taxable income of the individual. ELSS funds are equity funds with a three-year lock-in period. If you consider the retail SIP flows into equity funds on a monthly basis, it has been close to $1bn on an average in the last few months. This includes ELSS SIPs as well. 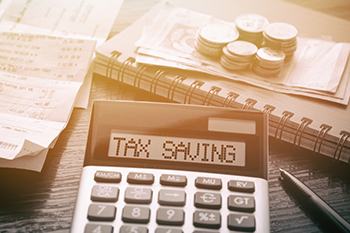 Here are a few things to keep in mind when you invest in tax-saving funds. One reason for many investors to prefer ELSS funds is that its lock-in period is relatively low at just 3 years. Comparatively, other assets like PPF and long-term deposits have lock-in periods of 5 years or more. Quite often, investors tend to book profits on their ELSS the moment the 3 year lock-in period is completed. Actually, you can hold these ELSS funds as long as you want. After 3 years, you are free to sell them anytime and from that point onwards, it is as liquid as any other equity fund. Also, you can invest in ELSS even after you cross the Rs1.50lakh Section 80C limit, although there is no tax exemption available. Because all ELSS funds have a compulsory 3-year lock-in period, there is no question of short-term capital gains on these tax-saving funds. However, as and when you redeem these funds after the lock-in, the difference between the sale price and cost price will be subject to a flat LTCG tax of 10%. There will be a basic exemption of Rs1lakh; however, any LTCG gains above that will be taxable at 10% without the benefit of indexation. Does it make sense to choose ELSS over diversified equity funds? Opting for ELSS for availing Section 80C benefits is perfectly understandable. But, once you cross that limit, you are just locking in your funds in ELSS for 3 years without any tax benefit. It has been observed that over periods of 3, 5, and 10 years, ELSS does marginally better than large cap funds, but mid-cap and multi-cap funds tend to outperform ELSS. It would, therefore, be a better choice to opt for a multi-cap fund once the ELSS limit is utilized under Section 80C. This is an important point to remember. Even if you are planning for taxes through an ELSS, try to spread your ELSS investment through the year in the form of an SIP. This will give you two advantages. Firstly, your outflows will synchronize with your inflows and not put any unnecessary strain on your finances. Secondly, it will give you the benefit of rupee cost averaging, which will reduce your overall cost of acquisition and enhance net returns. If you are planning to use the ELSS route to save tax under Section 80C, don’t load your portfolio with 7-8 different schemes. You still need to track the performance of your ELSS portfolio, so lesser the number of funds you own, the better. Ideally, stick to 1 or 2 fund schemes at the most. Always opt for the growth plan rather than the dividend plan. The dividend plan may seem attractive as it gives temporary liquidity, but a growth plan is more compatible with long-term wealth creation. Whenever you buy an ELSS fund, never lose perspective. At the end of the day, your ELSS is not just about reducing your tax burden. It has to fit into your risk appetite and capacity. If you are over 50, don’t just keep adding ELSS funds to your portfolio. It will skew your risk matrix. Ensure that your ELSS fits into your overall financial plan that lays out your ideal equity and debt allocation. If this is not taken care of, you may end up investing in an ELSS and saving tax, but it may destroy your overall financial plan.